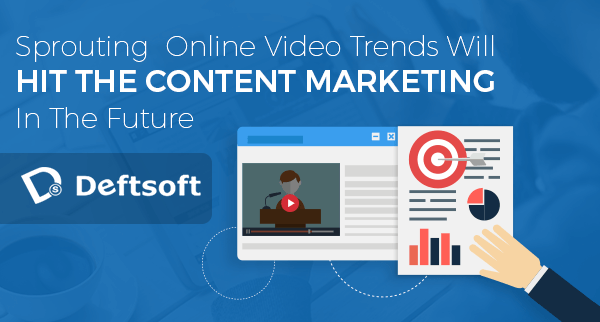 It’s far beyond the imagination, how videos will affect the content marketing in coming era? Where it sounds interesting at the same time this idea is surely going to bring a dramatic change in the lives of the people or will affect the content creation agencies too. The futuristic trends of the online videos are going to be the game changer very soon. Even now we can clearly see, how businesses are competing to get ahead of each other and no one organization is ready to quit in the race of ranking them higher when it is about injecting latest trends to their content marketing. It’s an era, where people are more interested in watching than reading. And this latest buzz is hitting the businesses and users all over the world. Where it’s easy to narrate the whole story in words, there as it’s more interesting to build interest by providing a lively source to the audience with which they can feel more connected. The videos are gaining more traffic than the content marketing nowadays and the reason behind it is very much clear. There is no denying the fact, that the videos satisfy the informative & entertaining needs of the audiences in a more simplified manner. Where many businesses are getting themselves familiarized with this newest concept, there also many have taken half of the audience from the market by implementing the concept. Offering peerless benefits to the businesses, videos in today’s time are the greatest weapons that anyone can go for if they wish to have countless traffic for their business. Do you really feel, that the content has the same potential as the video does? It can’t be wrong to say, that any video can grab more audience than a piece of content. In this era of digitization, the smartphones have taken a special place in our lives and we find it easier to search and watch a video of our interest. A product description contains a detailed information all about its branding and more, but what a video can do there no other media can prove to be the best tool as compared to videos. But, to create an effective and highly competitive video, it is of utmost importance to pay attention to the content that you are going to share with the audience. Plus, Duration, Quality, Call to Action are the key ingredients of any video and if done correctly, they can boost your business success overnight. How can you forget about SEO? Whether it’s content marketing or videos, Search Engine Optimization plays a crucial role in ranking your website on the top among the various search engines. The highly advanced and influential videos are eating the small content marketing firms. Start making solid video marketing strategies and rock your content marketing world through videos.